That’s a direct quote from an internal IRS handbook obtained by the Americans Civil Liberties Union under the Freedom of Information Act. The truth is that government officials reading citizens’ private emails without a warrant is a clear violation of the 4th Amendment. 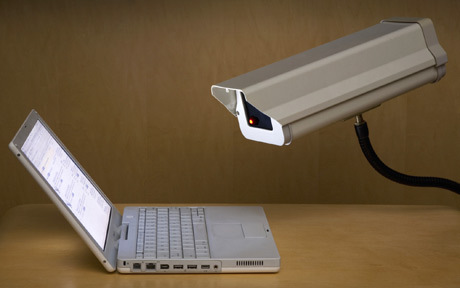 However, believe it or not, the current privacy laws on the books do not protect your email privacy. IRS officials can legally read any of your emails that are over 180 days—and you probably won’t know they’re doing it. That’s because the Electronics Communication Privacy Act (ECPA) pertaining to Internet communication was written… in 1986. Almost 30 years ago. This was long before the Internet as we know it today existed. The vast majority of Americans didn’t have an email address and I wasn’t even born yet. There’s simply no good reason why the law hasn’t been updated to keep up with the 21st century. The loophole that allows the IRS to read six month old emails needs to be closed because privacy protections shouldn’t expire. It’s a rare issue that both Republicans and Democrats can agree on. Last congressional session, a majority of members in the House—including 98 Democrats—cosponsored the Email Privacy Act that would modernize the law so that privacy protections also apply to emails. Groups from all across the political spectrum have come out in support of common sense ECPA reform. A coalition letter urging Obama to support meaningful privacy reform is signed by Demand Progress, U.S. Chamber of Commerce, National Organization for Women, Taxpayers Protection Alliance, Tumblr, and dozens of other groups. When have you seen such an unusual collection of organizations on the same side? Congress should amend ECPA to ensure the standard of protection for online, digital content is consistent with that afforded in the physical world—including by removing archaic distinctions between email left unread or over a certain age. So, seriously, why hasn’t ECPA been updated? One of the main priorities for the 114th Congress must be to update the super old electronic privacy law. The IRS shouldn’t be allowed to snoop through our private emails. Period.